Baker Avenue Asset Management teamed up with the Darling Agency in New York City to work on a very unique project with Invision Studio to shoot a scavenger hunt style Office 360 Virtual Tour along with some Architectural Photography for their Office space and building. 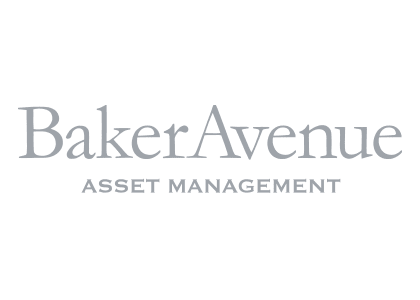 Founded in 2004, BakerAvenue Asset Management is headquartered in San Francisco, CA and provides a full range of investment and wealth management services, with a focus on managing risk and growing your wealth. From the beginning, they have been tested in extreme environments, often delivering strong results in both bull and bear markets. They are located in financial district of San Francisco in one of the most historic and beautiful buildings in the area which used to be home to the Federal Reserve of San Francisco a cornerstone of the West Coast Financial District since 1924. As an asset management group, Baker Avenue was looking to break from the norm and find a unique way to let their current and potential clientele see that they were a group of creative minded individuals that didn’t follow the stereotypical norm of their industry. Their team decided to hire Darling Agency in New York, who in turn lobbied our services to help them build a 360 Virtual Tour of their office that would set them apart from any other competitor in their industry; something that would show them for the edgy “A teamers” that they are. Our founder flew down to San Francisco to take on the project personally and team up with Baker Avenue and Darling Agency for a two day Virtual Tour excursion complete with photo props, styling, and even animals! The tour features many “hidden” pop-ups throughout the tour showing everything from Skeletons in the closet, kites, dogs, and of course Gold. We were able to use custom info boxes to highlight the unique art in the office and ended with a couple of hero images of the exterior and interior office photography. The project took some back and forth to perfect and came out wonderfully. Not only did they accomplish their goal of setting themselves apart from their competitors, but they managed to help us create one of the best Virtual Tours in our entire Invision Studio portfolio. We sure appreciate it – thanks for caring so much – the virtual tour is very special and I can’t wait the hear what visitors are going to say about it.